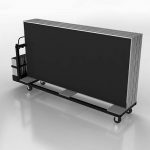 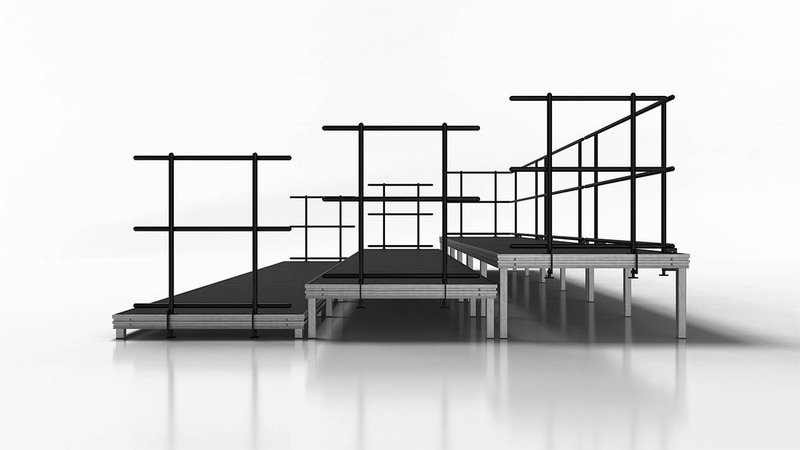 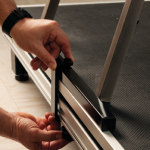 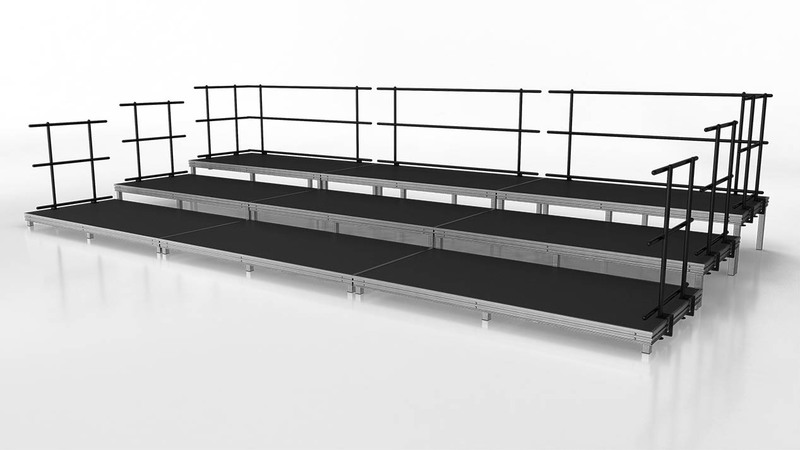 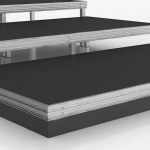 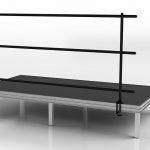 Executive Seated Risers use an Executive Stage foundation creating a flexible modular system designed to meet a variety of needs. 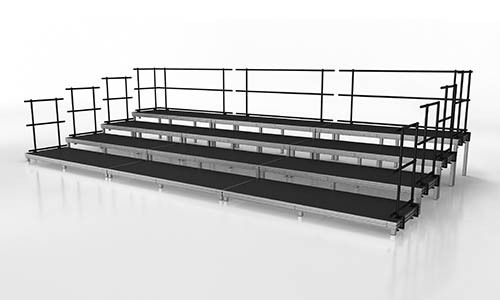 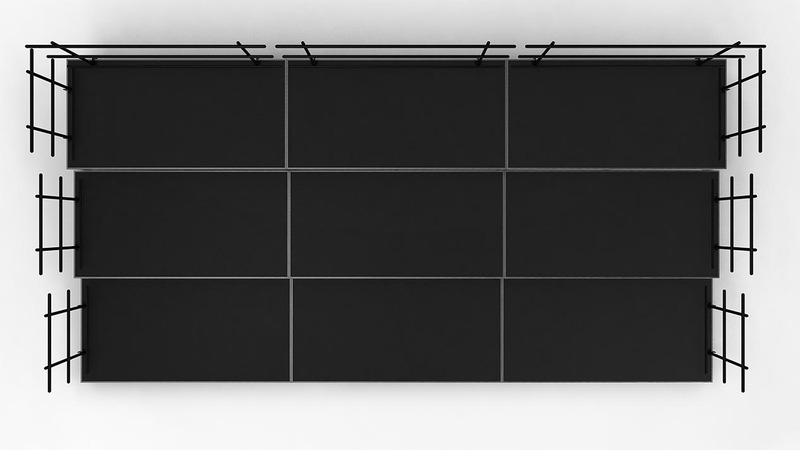 The Executive foundation is strong and durable, providing an attractive seating arrangement with excellent lines of sight and clear, unobstructed sound paths. 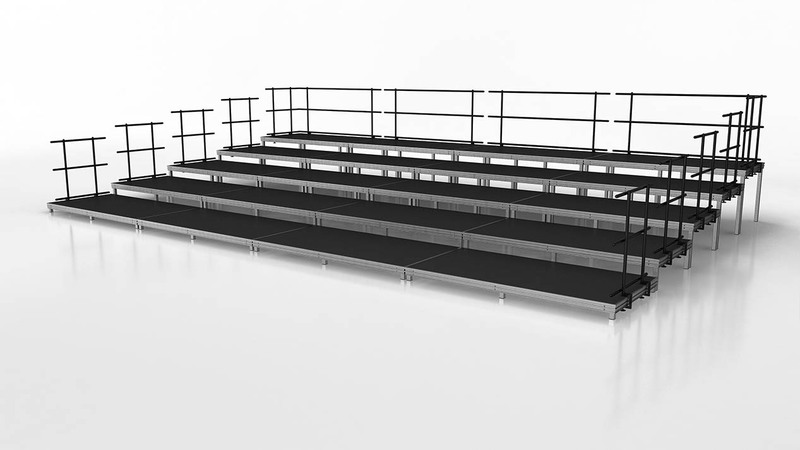 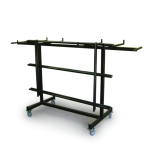 Test its versatility by using the Seated Risers as Band or Choral Risers or as audience seating. 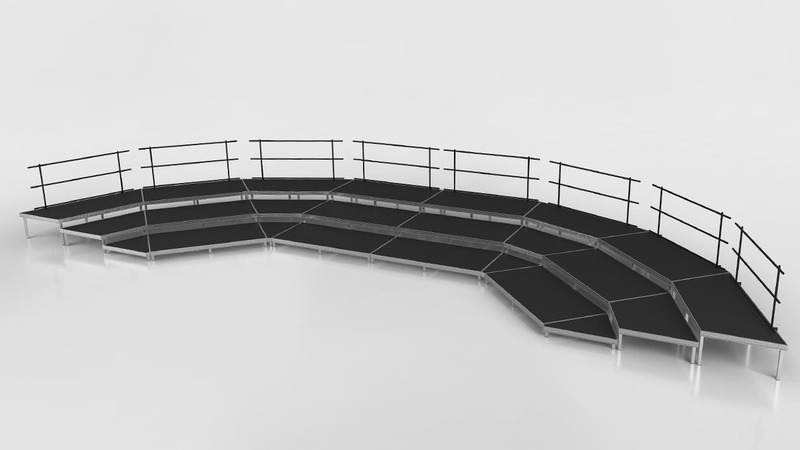 Add pie sections to create winged, horseshoe or arc configurations. 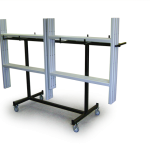 8", 16", 24", 32", 40"
risers lends itself very well to customization, often times at very little or no additional cost. 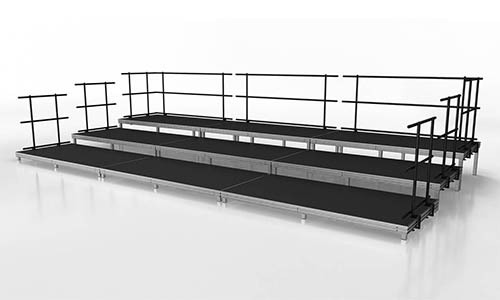 Anything from complex curves and angles to simple cut outs around pillars or custom-sized section or leg height is possible with the executive line.